Are you looking for THE BEST math resources to help you teach math to your students? Look no further! I'm asked all the time what my favorite professional reads are so I decided to curate them here for you all in one place! This post will be strictly about math teaching resources but I have a literacy resources post in the works for your reading pleasure. 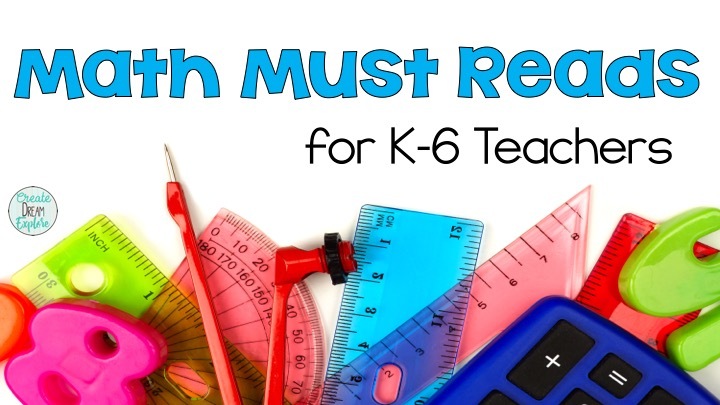 I have read and personally tested out hundreds of math teaching resources over the years so I feel confident in my recommendations and I know you will love these math resources as much as I do. Below I have posted my affiliate links to the math books that have revolutionized my math teaching practice. None of them are too textbooky (I can make up words right?)! You can open them up to whatever strategy you are working on and pull something out to do with your students that day. The first book is Number Talks by Sherry Parrish. There are two Number Talks books and I own both of them! I bought this when I was teaching 2nd grade and I loved it so much that I NEEDED to have the other version as well when I switched to 3rd and fourth grade. Number talks are 10 minute fluency lessons that I try to build into each math class. These next resources I use to help me plan every unit! When planning out a math unit I use a mixture of resources because there isn't any one book that has everything in it that my students need. So I use some of my own resources in conjunction with ideas, problems, etc. from several other professional math resources. You're going to see a trend in the following resources...most of them are written by Marian Small. The reason for that is because her books tend to be easy to follow and practical. I can open up her resources and pull out a problem or lesson right away. They don't read like a textbook for the most part. I use something from the following books every week, if not everyday! They are math teacher gold. I have this one close by when planning out my math learning cycles (units). I use this one a fair bit, but not for every unit, Building Proportional Reasoning Across Grades and Math Strands, K-8 . I love that her books are so affordable! With Growth Mindset being front and centre these days (and for good reason) I had to pick up this book by Jo Boaler on mathematical mindsets. Such a good read! 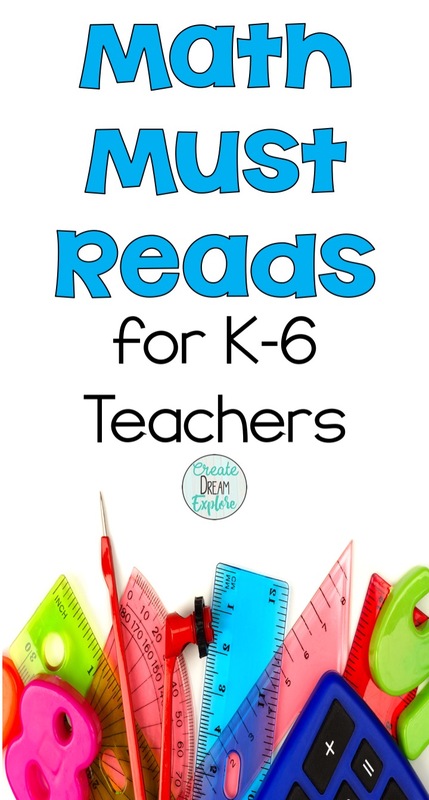 And of course there's a Van De Walle book in this list! Two actually, because both the K-2 and the 3-5 versions are excellent! A little more textbooky (haha I used it again...how many more times until it becomes a word?) but still so useful for math teachers. So those are my favorites for now! 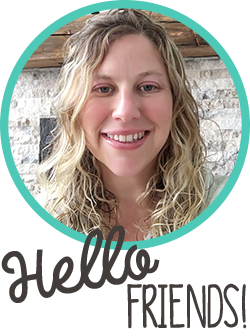 As I read and test out new resources I will do a part 2 to this post! Do you have a favorite math resource? Share yours in the comments below! If you want to check out my Best Literacy Resources for K-6 Teachers list click here!